Put down the Blackberry, turn off the T.V., and get the kids a sitter, because this weekend is your chance to feel like a kid again when VAVi Sport & Social Club puts on the 3rd Annual National Kickball Championship where adults put their kickballin’ skills to the test for cash, prizes and of course, bragging rights on the playground. On Saturday September 11, NTC Park is set to host the event that will feature two divisions of kickball tournaments for every playing level. There’s a place for you at the event whether you’re an old pro whose been knocking red balls out of the park since grade school (Kick A— Division) or a casual gamer looking for a fun and social sport outing on a Saturday afternoon (Just for Kicks Division). Grab some friends and register now, because beyond the fun and games are the cash and prizes that go to the winning teams. 1st place in the competitive division get’s you $1500 and in the social division 1st place prize winners are going to get entrance to VIP parties at the Belly Up, Petco Park tickets and more. Come dressed to impress because best costume will land you prizes like all day passes to Boomers Amusement Park. During the games, players can join in on some 21 and up fun at Vavi’s Beer Garden and dance whatever energy they have left to the beats of a live DJ. Once all the fun and games start winding down, the fun keeps coming with an after party. 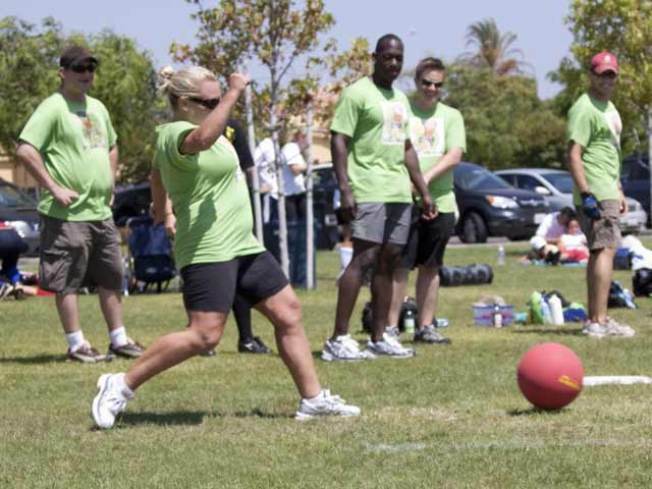 The 3rd Annual National Kickball Championship runs from 8 a.m. to 5 p.m. with the after party kicking off right after the games and going until 8 p.m.. The registration deadline is Thursday Sept. 9. For more info on all the kickin' activities at this year's championship head over to the event’s website.